Open Broadcaster Software (OBS) is free, open source, cross platform video recording and live streaming software. It’s absolutely free , feature rich application. It started as a small project but got popularity due to its stability and easy of use. Today, it is considered an essential component of computer system if you like to record or stream videos on your workstation. We will be reviewing its prominent features and installation process on Ubuntu Linux 15.04 today. Lets see how we can install this beautiful piece of software to our ubuntu system. This tool has only one dependency i.e. FFMPEG. In order to proceed with OBS installation, please make sure you have ffmpeg installed on your ubuntu system. Launch terminal window and run following command to add PPA repository for FFMPEG. Once PPA has been added, run following command to update APT package manager repositories. Now run following command to install FFMPEG on your ubuntu system. Pre-requisite has been installed now, lets go ahead with OBS installation now. Launch your terminal and run following command to add OBS PPA repository. 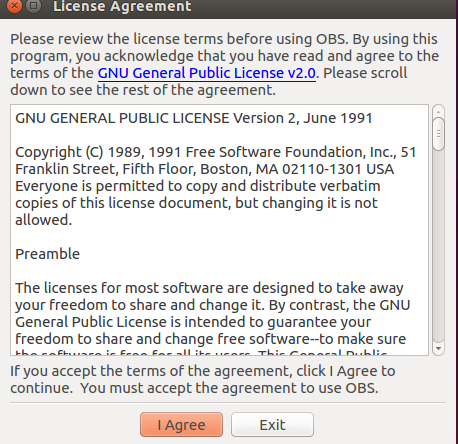 Run following command to install Open broadcaster software on your favorite distro. 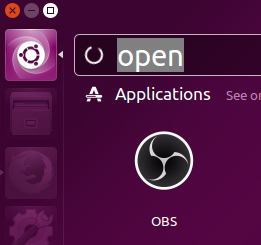 As soon as its installation is complete, launch it from Applications >> OBS . The prominent features and easy of use have made this tool a popular one. It runs fine on Linux, Microsoft Windows and Mac OS. It has good online help available for newbie and learners.